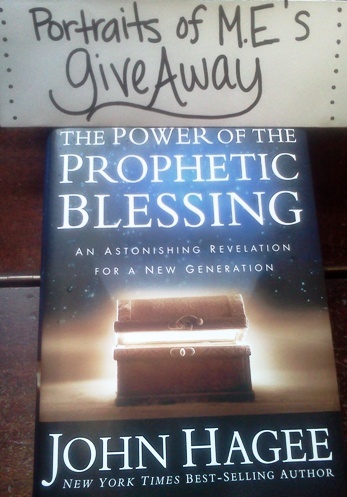 CLOSED-Giveaway: The Power of the Prophetic Blessing | Portraits of M.E. Have you read my review on John Hagee’s most recent book, The Power of the Prophetic Blessing? If you have, and you are interested in winning a copy for yourself – enter Portraits of M.E.‘s September Book Giveaway! !